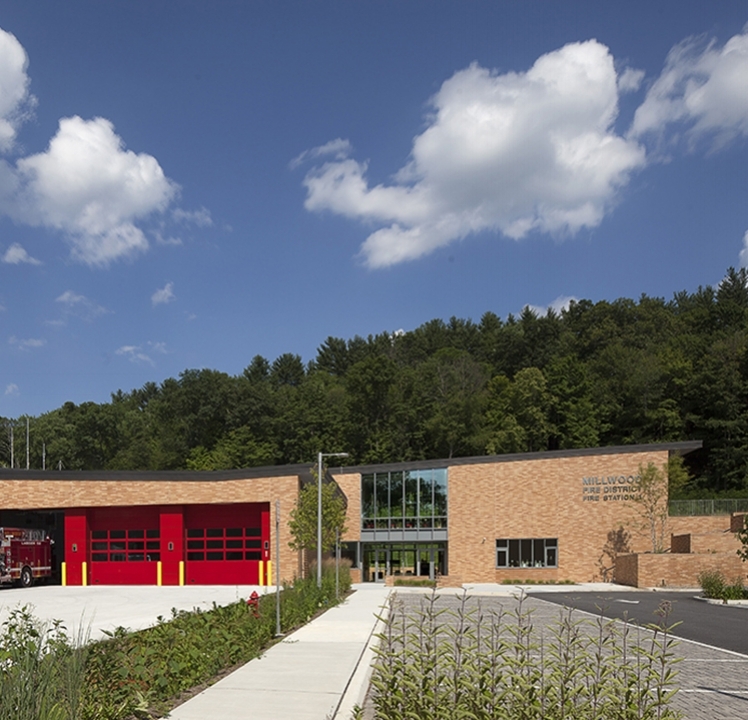 As Millwood’s first new Fire Station in 90 years, this new facility serves two very important roles. The first is to provide a highly effective facility for the dispatching of the vehicles and the training of the firefighters. 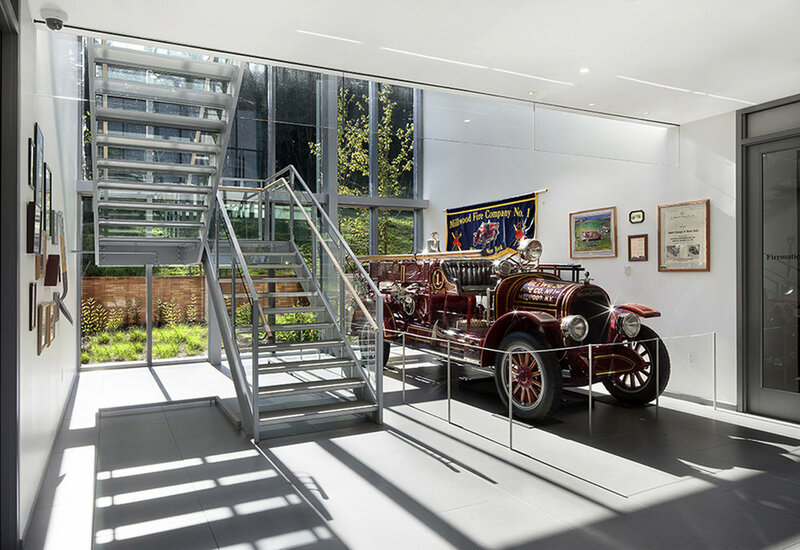 The second is to help strengthen the community of firefighters by creating a noteworthy new building that will attract future generations of volunteers. 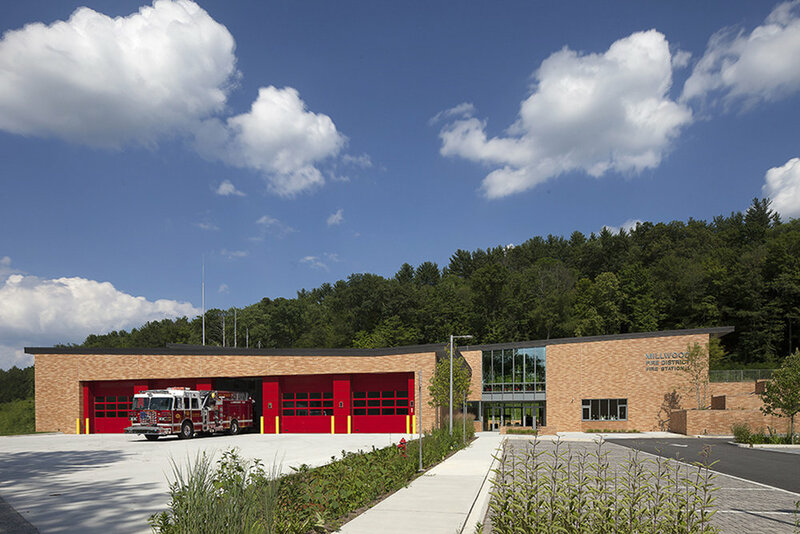 The Station has five Apparatus Bays for storage of the vehicles, along with a large engineered concrete apron for service and maintenance in good weather. Radiant heat in the Apparatus Bay structure saves energy and provides a heated surface for drying out the firefighters gear after a fire. 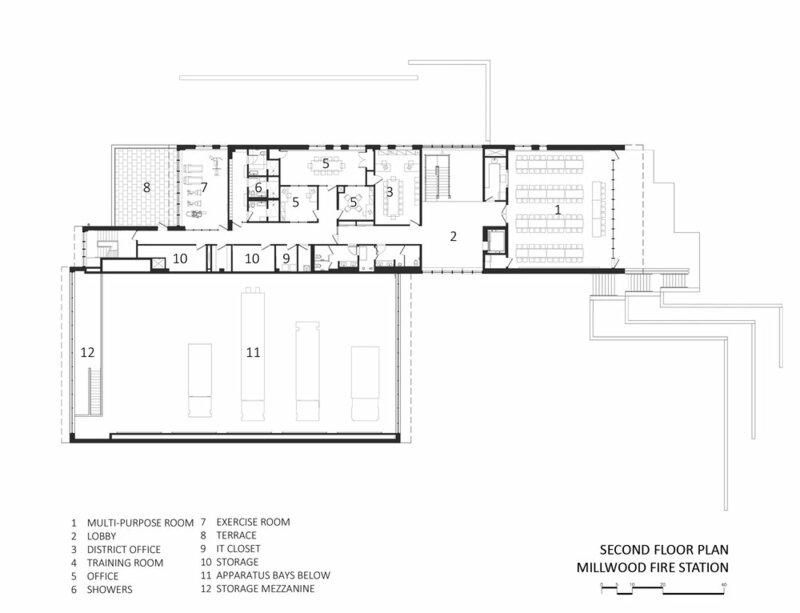 Skylights, a heavily insulated roof, and ventilation systems keep the space comfortable in hot weather. 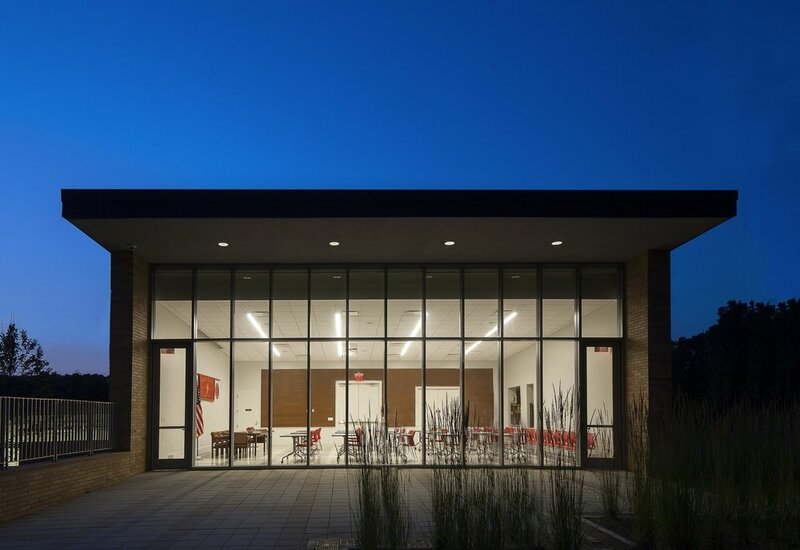 The 10 acre site has a significant slope, allowing the Station to be set into the hillside with the large Multipurpose Room opening out to outdoor event space at the upper level. 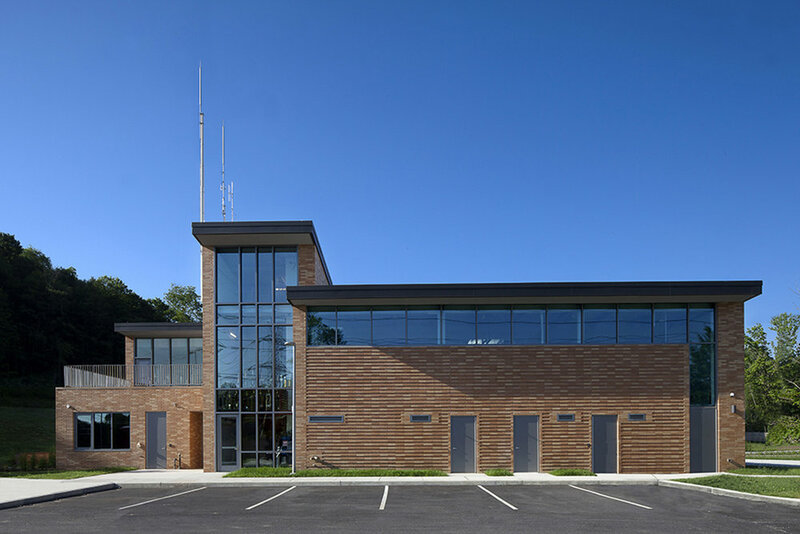 The dramatic rooflines will serve to make this a memorable building and a desirable place to spend a career as a volunteer firefighter.